Celebrate this 4th of July with a great American hero. 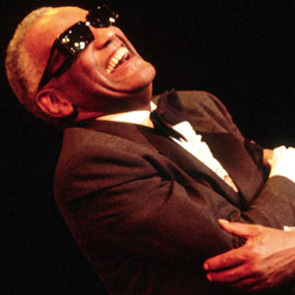 Ray Charles’ unique vision blended the best of jazz and R&B, gospel and soul, country and pop into distinctive music that forever changed the American soundscape. This two hour American Routes special includes our exclusive interviews with Ray and those closest to him, tracing the radiant arc of his life and music. Voices include: Atlantic Records producer Jerry Wexler; saxophonist and bandleader, David “Fathead” Newman; singer and Raelette Mable John; Ray’s chauffeur and assistant of more than forty years Vernon Troupe; his ex-wife and confidante Della Bea Robinson; and producer-engineer Terry Howard. Hear Ray’s classics and the stories behind them, as well as his songs by Elvis, Percy Mayfield, Willie Nelson and others.